When Councilmember Rochelle Swanson was explaining her vote on the MOUs and explaining where the money might come from to pay for them, one place she really did not go in her discussion of revenue was hotels. But hotels might be one of the quickest and most lucrative fixes the city has in terms of short-term revenue. The city, despite an improving economic picture, faced a precarious fiscal situation even before the council increased employee compensation through the new MOUs. The city has put up tax measures as short-term fixes and innovation centers as longer-term fixes, but perhaps an alternative is simply to build hotels to meet existing and potentially future demand for lodging in the city. The fiscal analysis, for instance, from the August 25 staff report on the hotel conference center shows that an average 50 percent occupancy of the 89 net new rooms on the Richards Boulevard site would generate around $200,000 a year in transit occupancy tax for the city (remember, the site already has 43 rooms, so the net increase in taxes is reflected in that). Unlike property and sales tax, transit occupancy tax (TOT) goes directly to the community with no tax-sharing requirements with other jurisdictions. In Scenario 3 of the Nishi Fiscal Impact Analysis, the option with a hotel, EPS (Economic & Planning Systems) projects that a hotel would generate $479,000 a year in TOT for the city, flipping the project from a slight fiscal negative to a positive. Inherent in the net $2.2 million for Mace Ranch is $714,000 in TOT generated by their proposed hotel. And then there is a proposed hotel along the frontage road by I-80 in South Davis that could also generate substantial new revenue. They currently project about $600,000 in taxes to the city. In essence, four new hotels could generate between $1.5 and $2 million in new revenue for the city just by themselves. While all of this sounds great, the question is really whether Davis needs all of these hotels and whether adding too many will dilute the market and thereby reduce the projected overall tax increase. To address this issue, PKF Consulting was commissioned to do a study on the market demand analysis. 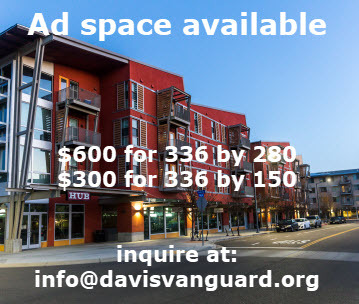 Right now, there are just 11 facilities encompassing Davis’ lodging market. Since 2000, when Comfort Suites opened 71 rooms, there has been only one new hotel – the 127 room Hyatt Place at UC Davis, the largest of the 11 facilities, nine of which are affiliated with a national chain. In total, Davis has 731 rooms. 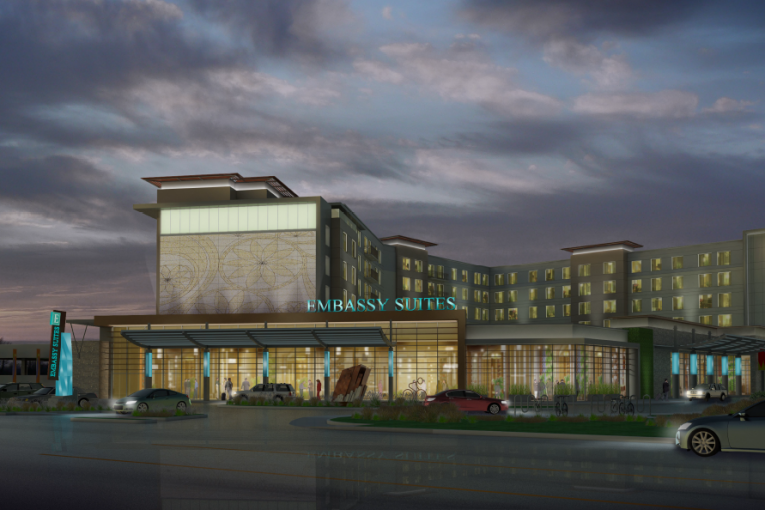 In other words, the Embassy Suites will have the conference center size for a large conference, but not enough rooms to accommodate all of the guests, and therefore it will create the market for the need for additional rooms. We have already seen the ability of the market to adjust to increases. Originally, the Hyatt Place was built with 75 rooms, but in 2014, it expanded by 70 percent, up to 127 rooms. The bottom line from this analysis appears to be the following. First, building three or four new hotels in Davis appears to be a relatively straightforward way to generate substantial new revenue in the form of TOT taxes. Unlike property and sales taxes, TOT is almost pure revenue – there is little drain on city services and no requirement for tax sharing. Moreover, bringing more people to stay in Davis will generate additional sales tax revenue as they eat and purchase goods in the city. Second, rather than being competitive, multiple hotels will complement each other, especially with the needs generated by conferences at the Embassy Suites. While there are some concerns about Richards Blvd., adding three or four hotels seems a relatively non-intrusive way to generate more revenue and to do so in the next few years. You know I’m all for adding revenue. But I thought we were trying to build out for revenue in order to pay for our roads and infrastructure. Now we’re talking about the need for revenue to cover employee pay raises. My how the conversation has changed. Certainly I’m not supporting the employee pay increases. I’m looking at ways to fund city services. This seems like a way to do it without a new tax measure. Again, you are falling back on the “either/or” dichotomous thinking. I prefer to consider the city’s needs more holistically. Yes, we have infrastructure needs….and it may from time to time be a good idea to raise compensation since we do need employees to fulfill certain city functions and hopefully are willing to pay for their services just as we pay for our infrastructure. Attraction of quality employees as well as their morale and retention cannot simply be assumed. And this I do know from 10 years of experience as part of my departments hiring team. At the risk of being labeled a right wing idealogue I have to agree with Mr/Ms Palin. I thought we had outstanding roads and infrastructure needs that will require approximately $10,000,000.00/year. This year we have allocated less than half that amount. Pension and healthcare costs seem likely to rise also. I simply do not understand what the council is thinking. My opinion is we will never develop our way out this hole despite Ms. Swanson’s vague optomistic ramblings. None of our other elected officials have deemed it neccesary to even offer the thin gruel she has. Talk about respect. Despite the Richards traffic issue, the hotels are starting to look to me like a good addition to a smooth transition towards greater mid to long range economic stability for the city. I think that it would be worth looking at an increased tax ( pick your least disliked form for those who inherently dislike taxes) for the short term, the hotel(s) for the midrange and consideration of a peripheral business park for the long term. I am speaking with no knowledge of city planning, but 25 years of experience in medical department building including 10 years dealing with financial, hiring and development issues allowing me to appreciate the importance of collaborative efforts and both short, mid range and long term planning. $200K seems low for Embassy compared to the other projections; is that because it was a 50% occupancy figure? What were the others? What is happening with the Airbnb discussion? How many of Davis Airbnb hosts collect and pay TOT as required? Airbnb occupancy might affect both the revenue and success of so many new hotels even if in small amount, don’t you think? SODA: It looks like they are assuming that Embassy will add 89 rooms, they assume 50% occupancy which reduces the number of new rooms to 45 whereas the others are adding around 100-130 rooms, therefore they are adding a lot more. 50% occupancy does seem a little low, it looks like that number should be 60 to 70 percent which would increase the number of new rooms and bump up the expected return slightly maybe to $250 to $300 a year, remember that’s on top of what they already produce for 45 rooms. I’ve always assumed there has to be a huge outflow of hotel occupancy dollars when we have such events as Picnic Day, graduation, Whole Earth Festival, etc. … But I guess there are also many dead winter days. There also have to be nights where visiting college athletic teams would need rooms. I guess our lack of rooms benefits Dixon and Sacramento. Part of their analysis showed that occupancy not surprisingly peaks in the summer and bottoms out in the winter. Clearly bringing in conferences would aid hotels and our coffers in the low parts of the industry. I would assume anybody who is considering investing in a hotel here has considered the local conditions and the likely occupancy rates. I also think that could be a factor in a community the size of Davis and think this is a good question. This reminds me of the book from years ago ‘Pigs at the Trough” which covered a rigged system and corporate greed. No different for the public unions and our local politicians. For several years I have been reading the Vanguard and reading about all of the unfunded needs, the massive road costs, the pension costs, and the unwillingness by many for new economic development. And in the middle of all of this, when little progress has been made, we fire the Chief Innovation Officer and now hand a new pay raise to (relatively) overpaid civil servants. I’d think a rational person looking to put the cities finances on solid footing would look to reduce costs, shift from a pension system to a 401K style system, get the first innovation park moving forward and this new hotel. Frankly, I haven’t finished my first cup of Joe, but is that a good start? Swanson seems to want a mulligan, wants it both ways, and the politician who was quoted as saying “I believe in the art of the possible” has little understanding of fiduciary responsibility. My growing concern is that these revenue measures really will just feed back to increased employee compensation. THat is something that we should not be doing until the city is on better footing fiscally. So we agree. They seem incapable of stopping the spending. Is it really so crass that they are feeding the labor unions, which will in turn vote for them when they run for higher office? I would say it’s a bit more complicated than that. There are some who are seeking higher office, certainly the Mayor, but that doesn’t account for the votes of Swanson and Lee. There is one labor union in the city, but certainly a more labor friendly contract would be noted by regional unions. To David Greenwald: So what is the tipping point for you? Where does the city specifically have to be, to be “on better fiscal footing” before you are willing to grant city employees COLAs? That’s a good question and a big question, really worthy of another article. I will wait to hear what Brett, Lucas and Jeff have to say tomorrow before sketching it out. I would say it is a CRUCIAL question! So what is the tipping point for you? Where does the city specifically have to be, to be “on better fiscal footing” before you are willing to grant city employees COLAs? For me the tipping point will be when staff compensation is shown to be at or below market value. It’s possible that we’re already at that point, but I suspect that the Saylor/Souza/Asmundon giveaway, combined with the substantial PERS and OPEB increases of recent years, have pushed compensation levels considerably above market. COLAs aren’t warranted if compensation is already too high. If the analysis I want to see already exists, I’d be grateful if someone would point it out for me. Why is it a CRUCIAL question Anon? What your question appears to indicate is that you place the welfare of the employees (as an interest group) ahead/above the welfare of the citizens (as a whole). Is that an accurate appearance? In my opinion Jim has illuminated the true CRUCIAL question, which is whether a raise of any form (COLA or otherwise) is consistent with the wages being paid in the competitive employment market . . . and the reality is that from Bargaining Unit to Bargaining Unit the answer to that question is different. What is needed is a comprehensive approach to all 352 of the current permanent employee positions (see graphic below). I suspect that a market analysis will find that some Bargaining Units are currently being paid at rates that are above the market and other Bargaining Units are being paid at rates below the market. The only way to deal with that kind of inequity is to conduct a comprehensive analysis. Interestingly enough the underpinnings for that kind of comprehensive approach were created when Dirk Brazil brought in former City Manager John Meyer to assess the current City employment situation. Sadly, it appears that nothing has been done to continue the positive momentum that John Meyer’s report set the stage for. Matt… no such thing as a “permanent” employee position… there are ‘regular FT’ positions, ‘regular PT positions’, and ‘temporary PT’ positions… kinda like accident vs crash… words are important. Fair enough pierce. I should have thought twice before I carried that word over from the Staff Report graphic. Build innovation parks and populate them with businesses, then have local hotel and conference space and it will be used by the businesses and tax revenue will flow. The businesses and employees will also spend dollars with local retail and local service providers and the tax revenue will flow. But then the city might…. CHANGE! OH MY! Again, the thinking of the leaders and voters of this town is podunk. They have in their hands all they need to set the city budget right, but they are either blind or stubborn in their NIMBY, change-averse, no-growth mindset. Instead they spend, spend, spend. 1. There are two big consultant firms that assess things like hotels. PKF was hired by proponents of a proposed hotel but did not look at the entire picture. The city will be hiring their own consultant to look at the problem of having so many proposed hotels in a relatively small area, as well as the already existing hotels on campus, downtown and close by. Would all these hotels, in essence, “canabalize” (my word) each other? In other words, would there be enough business to support so many proposed hotels within close proximity to each other, or damage already existing hotels/motels in downtown or nearby? 2. In speaking with the UCD representative, I asked him how well the Hyatt on campus had done. The Hyatt has done exceedingly well according to the UCD rep, expanding from about 70 rooms to the current approx 125 rooms. But still there is a lack of a large conference space at the Hyatt or on campus. 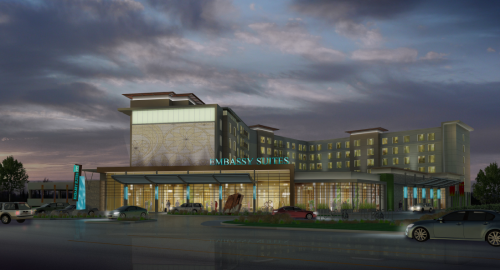 The proposed new Embassy Suites on Olive Drive should address that issue, and may be enough of a draw that it would help fill the rooms of the other hotels existing and being proposed. 3. I also asked the UCD rep how many large forums, conferences, etc. UCD held in a year – one every year, every six months, every month, every week? In other words, are there enough large conferences at UCD to act as draws for all the proposed and existing hotels to fill their rooms on a consistent basis, so that competition w each other does not kill off some. No one seemed to be able to answer the question about number of conferences, altho both city staff and the UCD rep felt it was likely a factor like that would be considered in any study by a consultant that was looking at the entire hotel picture. Good points that you raise. With regards to number three, I would suggest that if we had the facility, the university and community might have more conferences than they currently have. 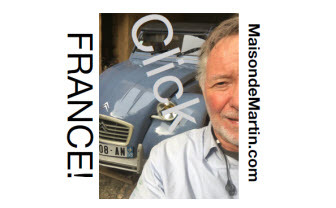 We have Hyatt, Hallmark, and how many other existing hotels? 4 new ones are being proposed, all within about a 2 mile radius. I am not convinced that UCD will ever have enough conferences to support that many hotels. That is why I will be interested to see what the consultant hired by the city has to say about this issue. In general, Davis has done a pretty good job of not cannibalizing existing businesses, altho at times I think the city has been too anti-business (whole other topic). I don’t want to see the city start down the wrong path. There are exciting times ahead with new innovation parks and hotels being proposed, so we need to make sure we get it right. I’ve been told that you are probably referring to a different consultant report on the Second St project which apparently was incomplete, however, the report I refer to here was not – nevertheless, the city is performing due diligence with their own report. My understanding is that there was no problem with this report. Your “Field of Dreams” concept (build it and they will come) logic appears to be spurious. First of all, not my concept, basing it strictly on the report. Second, have you read the report and looked at their analysis? If I attended a conference at Embassy Suites and couldn’t stay there, I would sure pick a downtown hotel over the Hyatt which is on campus with no real food, etc. Unfortunately, “field of dreams” is the absurd mentality that is running (ruining) the city. City staff does not have the skills necessary to properly analyze the interplay of these lodging proposals, or to review any analysis that a consultant might produce. Recklessly spending money the City DOES NOT have and chasing these fanciful illusions is insane. When will the City hire competent staff with community rather than career intentions? The problem with the “market value” argument is the cartel-like public-sector labor monopoly that restricts and constrains recruiting and hiring practices to stay inside the cartel. Unfortunately is appears that this source has removed employee names from the data. 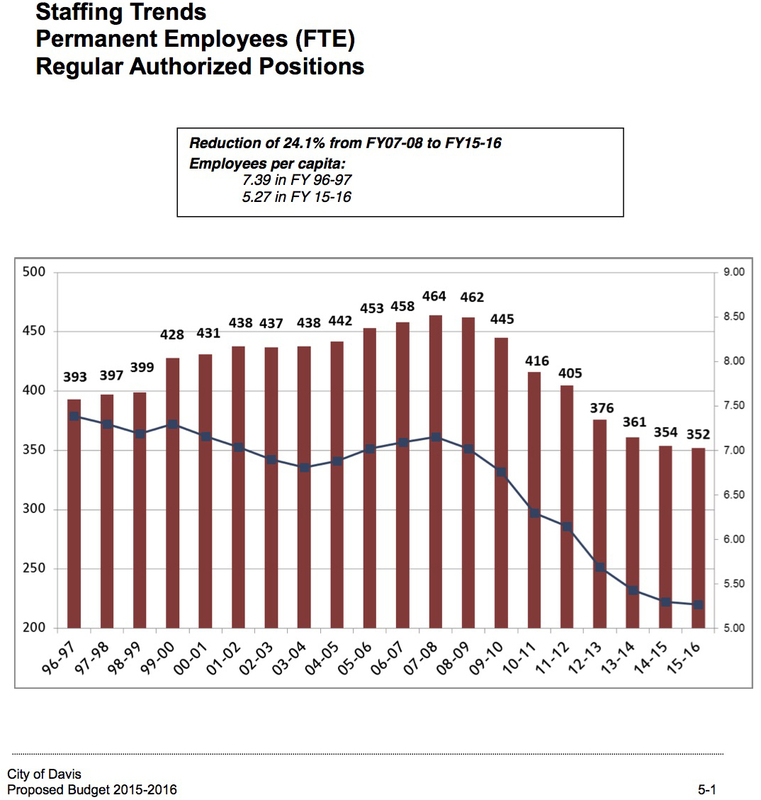 And there are clear problems with the data; for example it shows Davis having 887 city employees, and a position labeled Finance Director shows a salary of $57,459 even though the regular pay-range for the job is listed as $114,593 – $139,288. But out of 33 pages of nameless employees, four of those pages include employees making more than $100,000 per year not including benefits. Take for example the Human Resources Administrator. He/she makes $151,888 and $46,485 in benefits… or $198,373 in total compensation. I have a paid for salary study from the California Employers Group. For all of California (the Sacramento region tends to have compensation levels that are about average for the state), a Human Resource Director of a company with 350-700 employees has a median total compensation of $153, 360 with the top quartile being $174,967. And there are other benefits not accounted for. The number of days of paid time off. The retirement age. Job security. The value of a defined benefit pension versus a defined contribution retirement plan where retirement income volatility risk is owned by the taxpayers for the pensioner. When we accurately compare the total monetary value of all compensation and benefits for the public-sector worker versus the private sector worker, the public sector worker tends to be compensated 25%-50% higher. The majority of Davis city employees should not get any raises if we are comparing their total compensation to the general labor market. But since so many public-sector employees in this state are over-compensated with respect to the general labor market, the public-sector labor cartel is highly motivated to keep their compensation comparisons only on the public-sector. 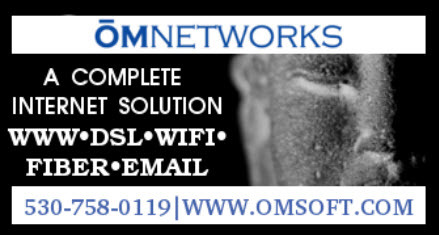 try this… frankly, your search of available data was inept… how do you stay in business? oh, and is your salary, benefits available on the internet? if not, why not? Yes, my total comp is available on the Internet. And EVERY SINGLE GOVERNMENT EMPLOYEE’S PAY AND BENEFITS SHOULD NOT ONLY BE AVAILABLE, IT SHOULD BE EASY TO FIND AND ROUTINELY REPORTED. How routinely? Every government employee? Including part-time, temporary employees? HS students? I gave you a web-site showing where municipal employees have their info posted. You did not respond in kind. Definitely a “conservative”… can hear the Trump-ettes. 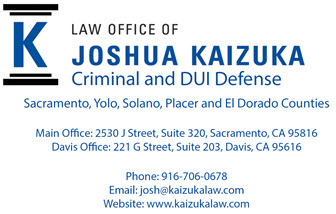 Judgment date? WTF does this have to do with the topic? I was thinking the same thing BP. Maybe because I “shouted” it with caps he was attributing it to a loud conservative. Thanks for the link hpierce. I had that and lost it somewhere. Thanks to you I have it again. And it makes me pretty sick seeing how much we are paying city employees. It looks like about 15 pages on that site are one-time or part-time employees — lifeguards, interns, summer camp counselors, etc. Per the city’s data, in 2015 they were down to 352 full-time equivalents. In 2013, the data you’re looking at there on the Controller’s site, they had 361 FTE’s. How easy it to find the total comp of you and your employees? Routinely reported and posted? Frankly is a managing director for a 501(c)(4) non-profit, so his compensation is disclosed annually by law on IRS Form 990, which is easy to find — all you need is the name of the organization. 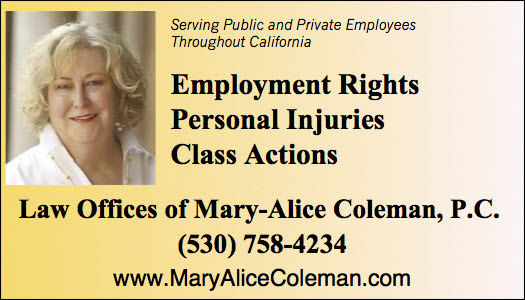 That disclosure doesn’t pertain to most of the firm’s employees. All employees with total compensation over $100,000. Per IRS rules. That’s interesting. So I wonder what the comparative cost to the city of Davis would be if the MOU’s gave COLA’s only to employees whose total compensation was under $100,000. Seems like they’re the ones who really need it.